This week, Vacheron Constantin launched a new addition to their Fiftysix Collection at London’s famed Abbey Road Studios, a location chosen because of the simultaneous announcement that they are now the official time partner for the Studios. This is not just about providing timepieces for them, but will involve collaboration on musical projects. English artist Benjamin Clementine, one of the faces of the Maison’s new advertising campaign, was in attendance at the launch, performing a song he composed for the event. 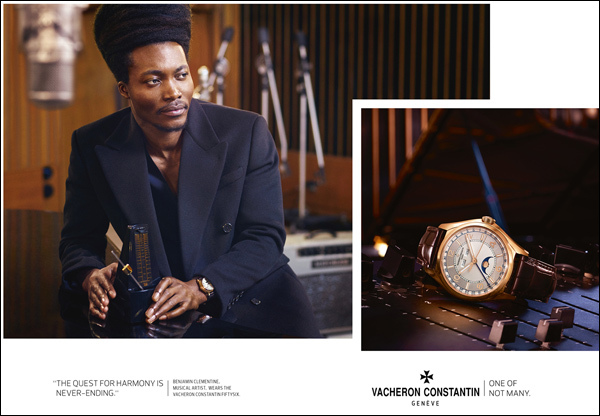 This partnership is also part of Vacheron’s new campaign entitled “One of Not Many”, aimed at the same (younger) market segment as the inaugural FiftySix models, and featuring younger brand ambassadors such as Clementin, musician James Bay, designer Ora Ito, and photographer Cory Richards. At the SIHH 2018, Vacheron Constantin introduced an entirely new ‘entry level’ collection line aimed at a younger demographic called the Fiftysix, which we covered at this link. At its launch, it consisted of time only, day-date, and calendar models. Now, a scant nine months later, they’ve taken the let’s-add-a-complication decision via a large jump, to a new tourbillon. The launch model only comes in the one metal, an 18 carat 5N pink gold case retains the Fiftysix collection shape, and measures 41mm with a thickness of 10.9mm. The dial marks it as clearly within the very traditionally/ classically oriented Fiftysix collection. Silvered opaline, with two railroad tracks, it uses a mix of Arabic numerals and indices, all in 18K 5N pink gold but with the latter filled with blue SuperLumiNova. The Fiftysix Tourbillon features a silvered opaline dial with inner and outer minute track. The Arabic numerals are applied and crafted in rose gold, as are the hour markers and hands that feature a luminescent coating with blue hues in darkness. The tourbillon escapement is visible via a large circular aperture at 6 o’clock on the dial. 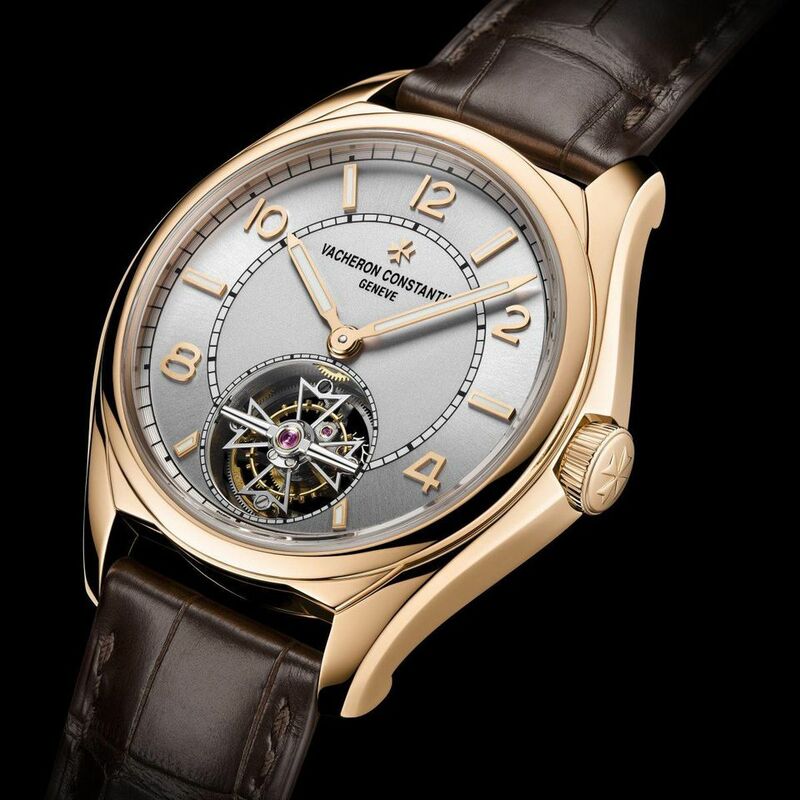 The dial’s lower half is dominated by the opening for the tourbillon that is the focal point for this new model, with its hand-finished Maltese Cross a feature that alone would mark this as Vacheron. Through the sapphire open case back is the rest of the automatic Calibre 2160, which has a 22 carat gold peripheral oscillating weight and a power reserve of 80 hours. It is 5,65mm thin, which helps maintain slimmer profile for the watch in total. 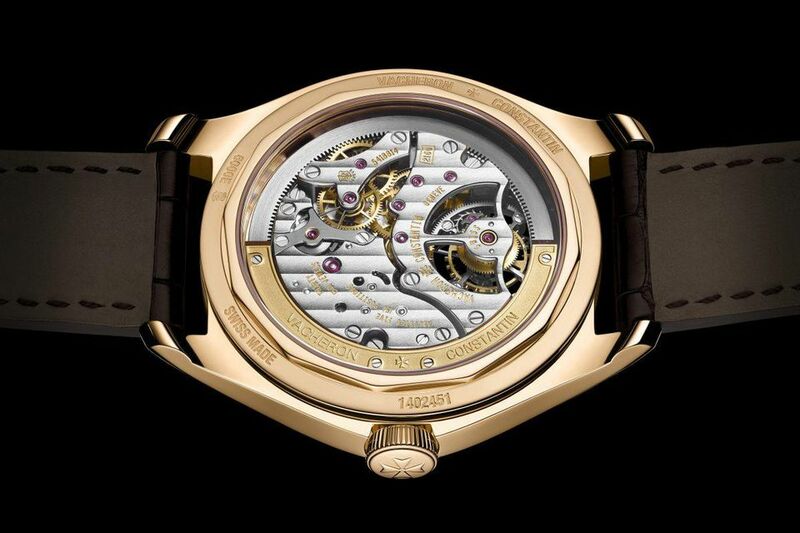 This is the same movement that is used for the Traditionelle Tourbillon Ref.6000. The new Fiftysix Tourbillon will come on a brown Mississippiensis alligator leather with calf inner shell and tone-on-tone stitching, and square scales. Its clasp is in a matching 18 carat 5N pink gold. The watch will be boutique-only and available from April 2019. Pricing will be around the USD 113,000 mark.